Home/Local/THE SHANNON POT BAR N GRILL MOVING TO 11TH ST. THE SHANNON POT BAR N GRILL MOVING TO 11TH ST. THE Shannon Pot will be relocating once again, this time going into a former coffee shop located on the southwest corner of 11th Street and 44th Drive. This is the second move in under five years for the bar and grill, which was recently closed at its previous site, a freestanding location on the corner of 44th Drive and 23rd Street (under the elevated subway tracks), and which was dislodged from its original location on Jackson Ave when 5Pointz was demolished. It will retain many of the fixtures from its prior haunts, including its antique bar. Hopefully the third time is the charm! //CARLYLE Group just paid the highest price ever for an apartment building in Long Island City, and Queens for that matter in purchasing the newly built 45-story 1 QPS Tower in Queensboro Plaza for $284 million this week. That’s not surprising given the trajectory of prices in LIC and the size of the luxury tower. What I can’t understand is where the value-added is in this purchase to make it a suitable acquisition for a private equity firm? It’s a fairly generic structure surrounded by numerous other recently constructed and similar towers, it’s fully leased so it has no work-out type financial restructuring needs. It feels like a purchase that allows it to tell its investors “Look what we did!” and a place to park that investors money and start collecting fees. Otherwise I wouldn’t read anything into this headline. Carlyle Fund Pays Record Price For LIC Building – so? 10 Fun Facts About the New Hunters Point South Park – fun! Road Sign on Pulaski Bridge Hacked to Display Vulgar Anti-Trump Message – can you guess? 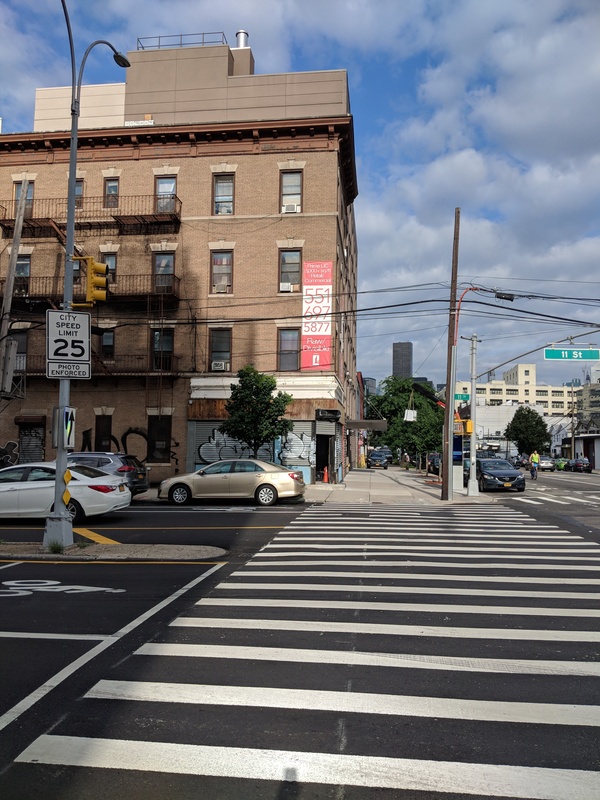 The post THE SHANNON POT BAR N GRILL MOVING TO 11TH ST. appeared first on LICtalk.